Bluefish anglers, rejoice! Blues have been thick in the surf all week long, leading to plenty of action for almost anyone who wets a line. Striped bass, the shop said in a report, are around, but all the attention is on bluefishing and they seem to be just about everywhere. Strip baits are also a popular method to catch them, John said. The crew at Murphy’s Hook House in Toms River went fishing in Seaside Park the other night and managed to beach a nice 16-pound bass on bunker chunks, as well as a few others. The bluefish bite, of course, was the most- talked-about species on the menu. “Bunker chunks and mullet for the bait fisherman and metals, poppers and swimmers worked for those throwing artificials,” said Mario from the shop. The night bite was just as hot as the daytime bite, he said. “Fluke season is open but we have not seen a lot of interest in them yet,” said Grumpy from Grumpy’s Tackle in Seaside Park, in a report. Getting away from bluefish mania – we get it – Grumpy said crabbing is doing well in the bay. “Crabbing has the same lack of attendance even though there are plenty of dinners waiting for ya,” he wrote. The shop also weighed in a 40-inch bass this week, as well as the first keeper fluke of season. 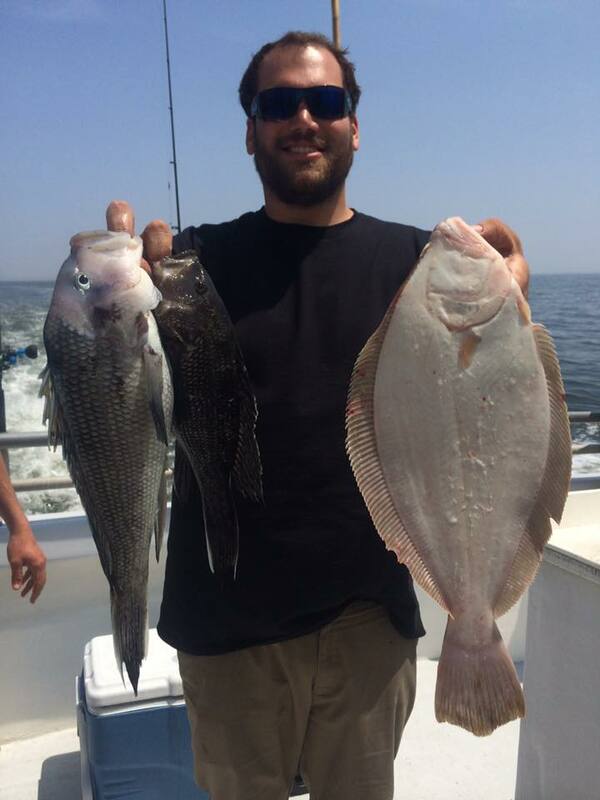 Bottom fishing was taking off in the ocean, according to a number of reports posted by FishingReportsNow.com, including word from the Dauntless party boat in Point Pleasant Beach that many customers are limiting out on sea bass. Fluke were boated here and there on the Gambler party boat, the report said, which included a pool-winning 3.4 pounder. In Barnegat Bay, there were scattered reports of fluke being caught around the usual spots, including the BI/BB buoys.